Anna Leonowens, a proper Englishwoman, was an unlikley candidate to change the course of Siamese (Thai) history. A young widow and mother, her services were engaged in the 1860's by King Mongkut of Siam to help him communicate with foreign governments and be the tutor to his children and favored concubines. Stepping off the steamer from London, Anna found herself in an exotic land she could have only dreamed of lush landscape of mystic faiths and curious people, and king's palace bustling with royal pageantry, ancient custom, and harems. One of her pupils, the young prince Chulalongkorn, was particularly influenced by Leonowens and her Western ideals. He learned about Abraham Lincoln and the tenets of democracy from her, and years later he would become Siam's most progressive king. He guided the country's transformation from a feudal state to a modern society, abolshing slavery and making many other radical reforms. Weaving meticulously researched facts with beautifully imagined scenes, Margret Landon recreates an unforgettable portrait of life in a forgotten extotic land. 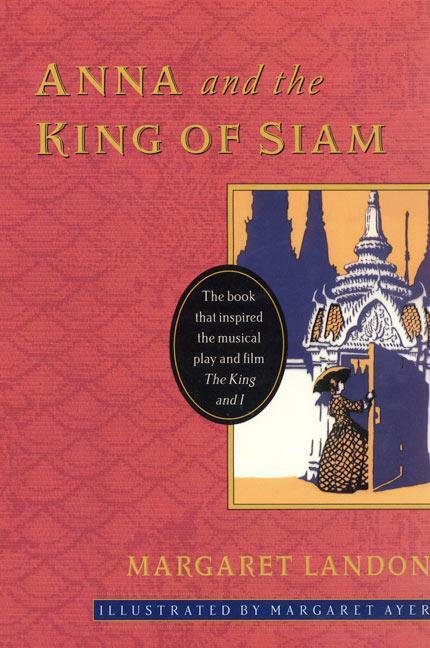 Written more than fifty years ago, and translated into dozens of languages," Anna and the King of Siam "(the inspiration for the magical play and film "The King and I")continues to delight and enchant readers around the world.